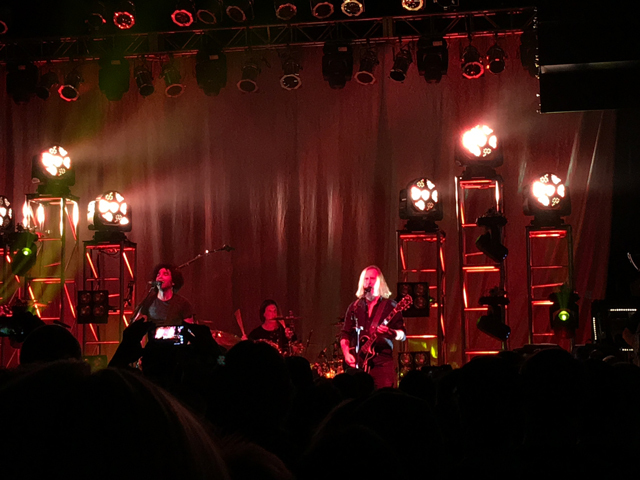 How is it that I attended a concert by the band Alice In Chains and didn’t blog about it until more than 7 months later? Well, if you knew my distractions and how it affected my blogging, then that’s the simple answer. And this is not the only concert I’ve attended and haven’t blogged about it yet. Working on those posts and will make them live in future Music Mondays. Maybe even 2 or 3 posts on the same day so I can easily share past experiences. This show was on July 11, 2016 at The Depot, a local club located in downtown Salt Lake City. This was my second time seeing the band live. The first time was in September 2013 at a large outdoor amphitheater. 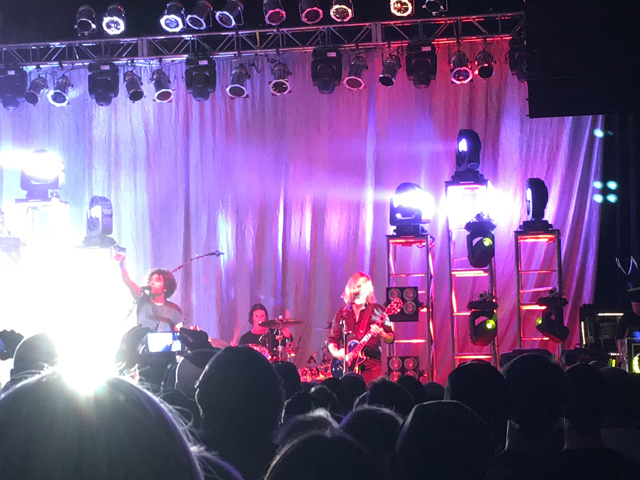 I didn’t blog that show, either [nothing against the band, seriously] but I did blog about the new album, “The Devil Put Dinosaurs Here” which is their latest release. There is talk of a new album, but none of the songs performed were new. See the set list below for the songs they included for this show. The band was very vibrant as they came on the stage, tearing right into the first song from their last album “Hollow”. I had a couple of friends with me at this show, as well as my wife, and we all were just blown away by their heavy and clear sound. No distortion heard from this music fan’s ears. Jerry, Mike and Sean are all part of the original band, or at least the classic line up after Mike Starr left. And of course, the departed Layne Staley, who I never got to see live. Current vocalist Willam DuVall does a stellar job at recreating Layne’s vocals while adding his own range to bring these songs new life. His own songs are no slouches, either and I’ve embraced the two albums he’s recorded with the band as collective with the previous classics. I will never question why they continued on as a band as this version is so good on every level. The energy, the sound, the stage presence… all of it worked very well on every song. I knew pretty much every word, I sang out loud, I never once left the crowd to refresh my drink. I just enjoyed what I experienced. And that was Alice In Chains. Do I miss Layne? Of course. But am I glad the band is still making new music and touring? Of course. I hope that whenever they finish their new album, that I will embrace it as tightly as I have the previous albums and that I get another change to see them live. Yeah, I had thought they were done when Staley died. But when Duvall was a guest vocalist for a charity gig they did, that kept the band going.